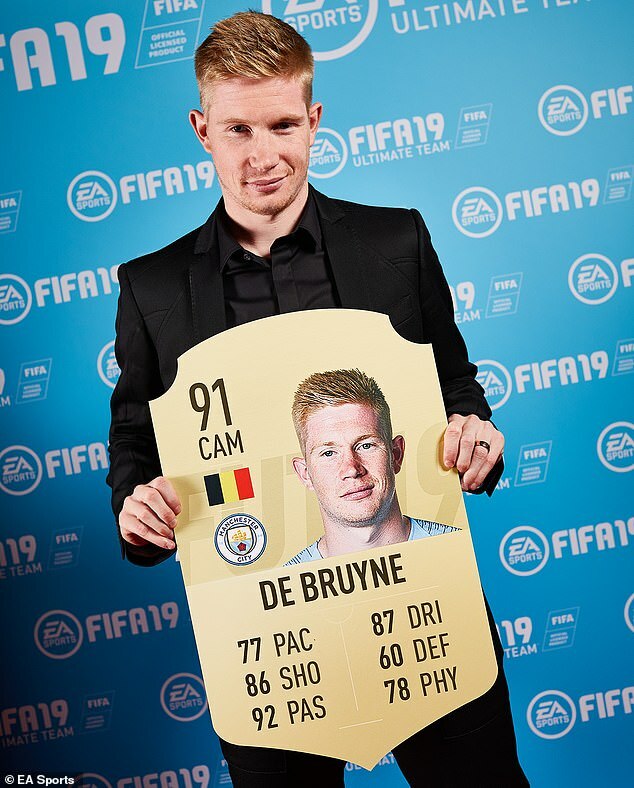 Kevin De Bruyne may have extra time on his hands at the moment due to his recent injury, but the guys at EA Sports have ensured he certainly won’t get bored. The Manchester City superstar was sent a limited edition, personalised version of FIFA 19 this week for him to start playing before the official release. 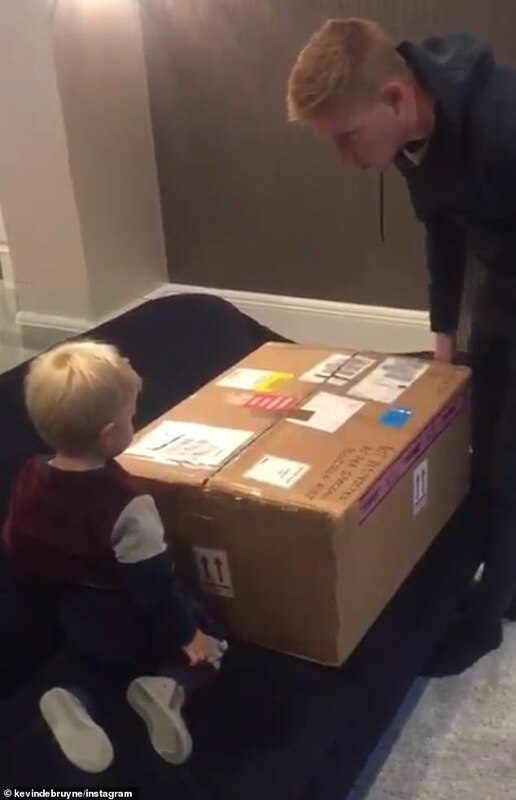 De Bruyne took to social media to show himself opening the special FIFA package, along with his young son Mason in what was a heart-warming scene. The youngster and his father set about a large package in the De Bruyne household, with Mason digging his way through polystyrene pieces before unearthing the special surprise. 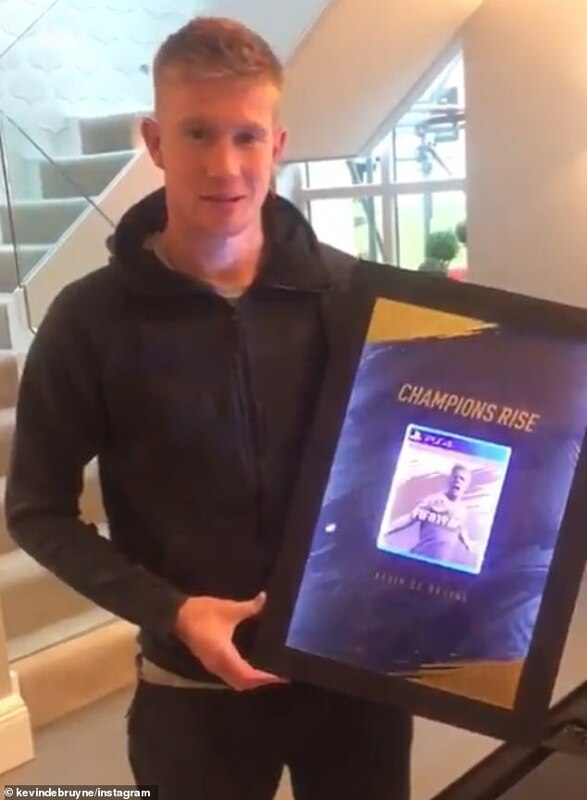 Removing it proudly from the box, De Bruyne showed the camera the gleaming FIFA copy within a fancy case, with the slogan of the new game ‘Champions Rise’ on show. The limited edition copy includes De Bruyne himself as the cover star, which differs from the soon-to-be generally released version which carries Juventus talisman Cristiano Ronaldo. De Bruyne then spoke directly to camera to thank EA Sports for their gift, which he is set to play with while he reaches full fitness once again. ‘Thank you EA Sports for this nice gift, it’s an honour to be on the cover of FIFA for this limited edition, going to have fun with it for the next few months or a year probably,’ said the playmaker. De Bruyne was among a host of stars who attended the FIFA 19 global launch this week in London, along side the likes of Wilfried Zaha, Toby Alderweireld and James Maddison. FIFA 19 is set to hit the shops on Friday, September 28.